Summer is here in Montreal and that means an abundance of outdoor music festivals and scantily clad fashionistas. 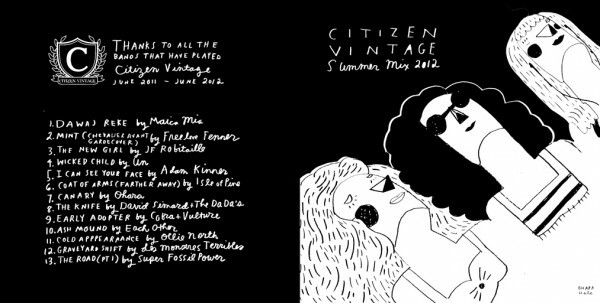 Citizen Vintage, a Montreal based vintage shop, recently asked me to design the cover for their mix cd featuring many talented artists that were showcased at their store throughout the year. Two versions were created, a full color and black and white. To download the full mix of music (featuring yours truly as well! ) 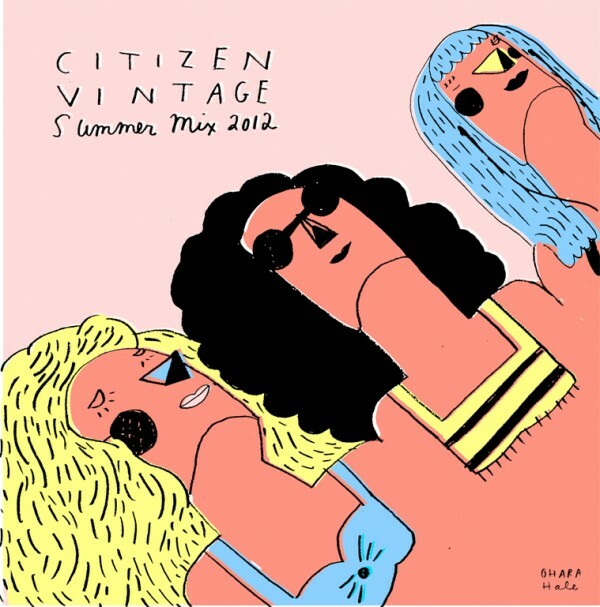 visit citizenvintage.com for the download link! Ohara Hale is a Montreal-based multidisciplinary artist. She sings, writes, draws, dances and performs questions and ideas about love, life, everything in between, unseen, unknown … Show more. Send a message directly to Ohara Hale. American Illustration 29, 3x3 Pro Show, LUX Best Children's Book of the Year, L'ADISQ Music Video of Year Nom. Awards: American Illustration 29, 3x3 Pro Show, LUX Best Children's Book of the Year, L'ADISQ Music Video of Year Nom.